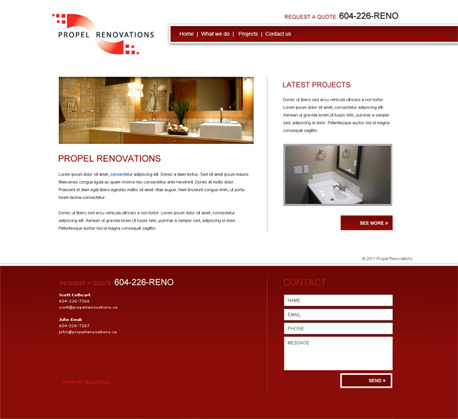 Propel Renovations came to us with their existing logo in search of business cards, but not quite ready for a website. We created a couple of card designs, and even got to work a QR code into the design (something I've wanted to do for a while now). 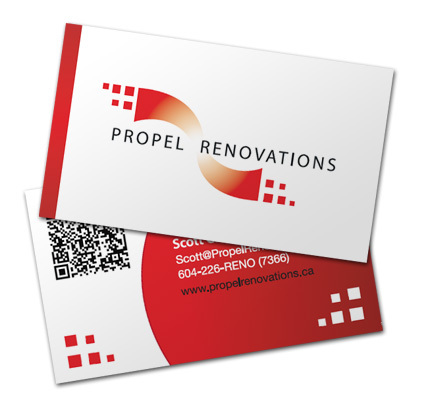 Once we'd designed the cards, Propel got back to us with some great news. They'd decided they wanted a website designed after all. We put together a very clean design for them, and set them up with a CMS for easy editing.